A meal of chanko nabe prepared by sumo wrestlers of the Professional Sumo Team (Musahigawa Beya) while practicing for a wrestling tournament in Nagoya, Japan. 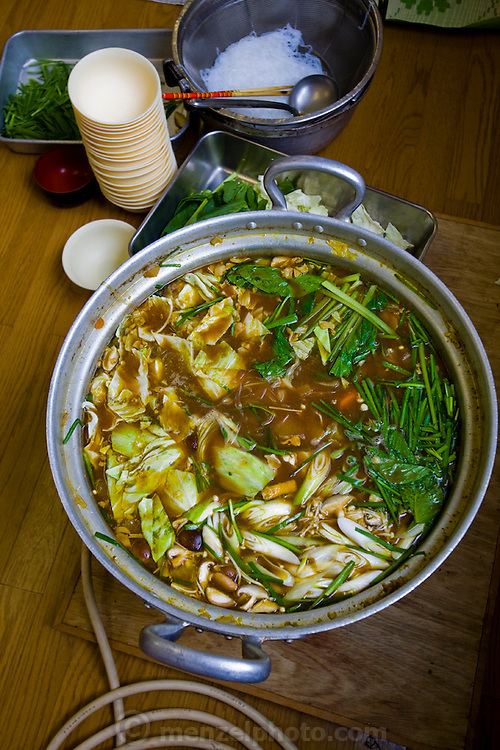 Sumos cook and eat chanko nabe, a stew pot of vegetable and meat or fish, at nearly every meal. It is eaten with copious amounts of rice and numerous side dishes.